Panoramic X-rays | Allen, TX | David Toney, D.D.S. 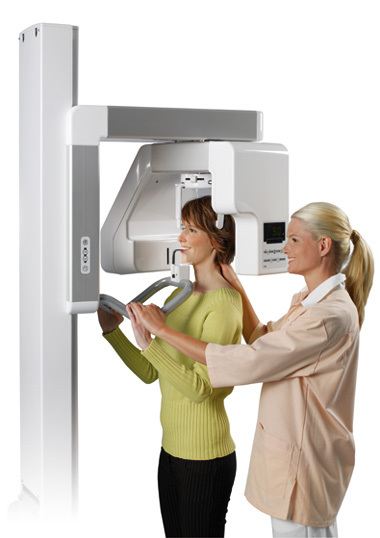 The panoramic X-ray provides Dr. Toney with an ear-to-ear two-dimensional view of both the upper and lower jaw. The most common uses for panoramic X-rays are to reveal the positioning of wisdom teeth and to check whether dental implants will affect the mandibular nerve (the nerve extending toward the lower lip). The Panorex equipment consists of a rotating arm that holds the X-ray generator, and a moving film attachment that holds the pictures. The head is positioned between these two devices. The X-ray generator moves around the head taking pictures as orthogonally as possible. The positioning of the head and body is what determines how sharp, clear and useful the X-rays will be to Dr. Toney. The pictures are magnified by as much as 30% to ensure that even the minutest detail will be noted.